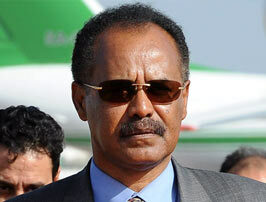 Reliable sources from Eritrea tell assenna.com that Isaias Afewerki, the unelected leader of Eritrea, is seriously ill. Reliable assenna.com sources from Asmara indicate that Isaias Afewerki, the unelected leader of Eritrea, is seriously ill. According to the sources, Isaias has recently been to Qatar two times for intensive medical treatment. Many Eritreans inside the country are aware of Isaias’ ill health; however, the government mediahas never made it public. As it has been reported on assenna.com for acouple of times in the recent years, Isaias Afewerki has been suffering from chronic Liver Ailment and has travelled frequently to Qatar for treatment. I love this man's passion and really want to see this man at top of politics. This is a indisputable man like our indisputable xbox live gratuit code.